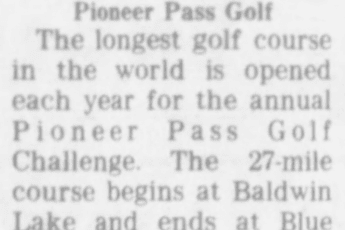 Big Bear City: The 11th Annual Pioneer Pass Golf Challenge will be played Oct. 17 through 19. 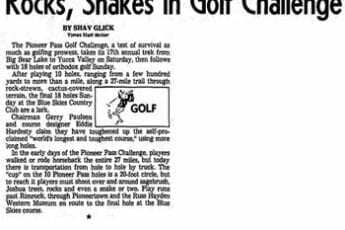 The first 18 Holes will be over the Blue Sky Golf Course and the 19th hole, a 28-mile long challenge, will be marked off along Pioneer Pass Rd. 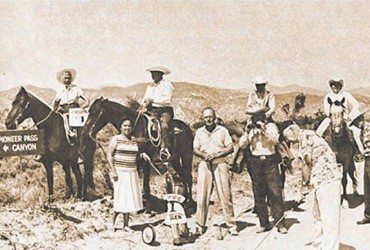 to Pioneertown in Yucca Valley.